I was born and brought up in the foothills of the San Gabriel Mountains in California, a short ride from the sea to the west and the Mojave Desert in the east. So the primal connections to such physical elements as the mountains, sea and desert have formed me and been essential to the inspiration for my making pots. After moving to England to marry in 1968, I discovered the lure of clay when handling handmade bowls in a Cardiff market. I was determined to learn how to make such beautiful things. While I was studying English Literature at Reading University much of my spare time was spent in a studio teaching myself to throw using a book for illustrations on how to do it. Once I graduated and we moved house, I was able to rent a wheel and put it into a 6’X5′ cellar making it possible to practice throwing for almost two years before being able to buy a simple top-loading kiln in 1978 and start learning about glazes. By 1987 I was able to attend a part-time post-graduate course at Goldsmith’s College in London. While sharing childcare of our two children with my husband, David, I was able to spend three days a week completely immersed in working with clay. There the opportunities to experiment and develop my own style and approach were wide open. I was encouraged not just to make objects of lasting beauty but also to cultivate an expressive life. Drawing became and continues to be particularly important to me. Life drawing in particular seems to find echoes through my clay work . In 1989 I graduated with a Commendation and two years’ worth of research into soda glazing from Goldsmith’s. This led to writing a book “Soda Glazing” published by A&C Black in 1995. After firing with gas in a suburban environment for 17 years, a move in 2004 to the country has made it possible for me to fire with wood and gas in a specially designed kiln. The world of ceramics is wide and varied, and it is important to make it accessible and understandable to a wide public. 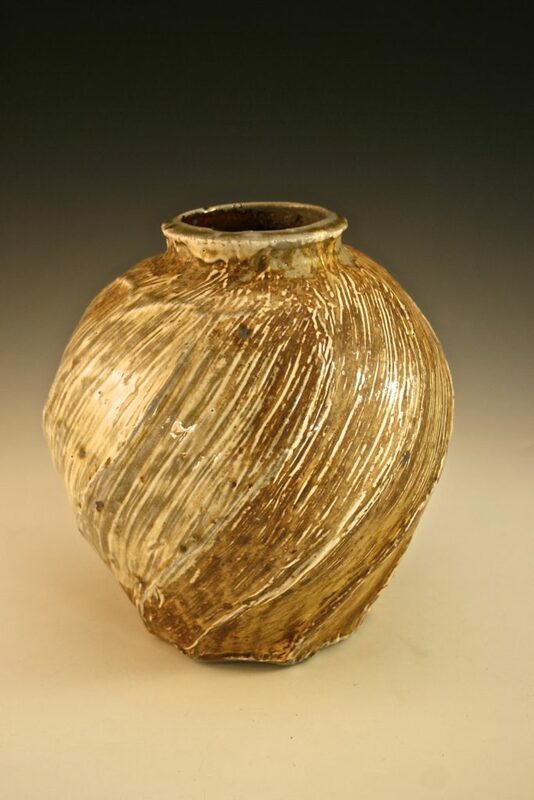 Toward this end, I play an active role as a Fellow of the Craft Potters Association of Great Britain, a member of Contemporary Applied Arts and a recently elected member of the International Academy of Ceramics.